To all new authors, starting out can be frustrating, we are unsure of what to do. Sometimes we feel we are alone in a dark room, with no-one to guide us or help, well here is your candle, your light, your guidance, your community. Elizabeth Hawk Publishing isn't just a publishing company, it's a community. 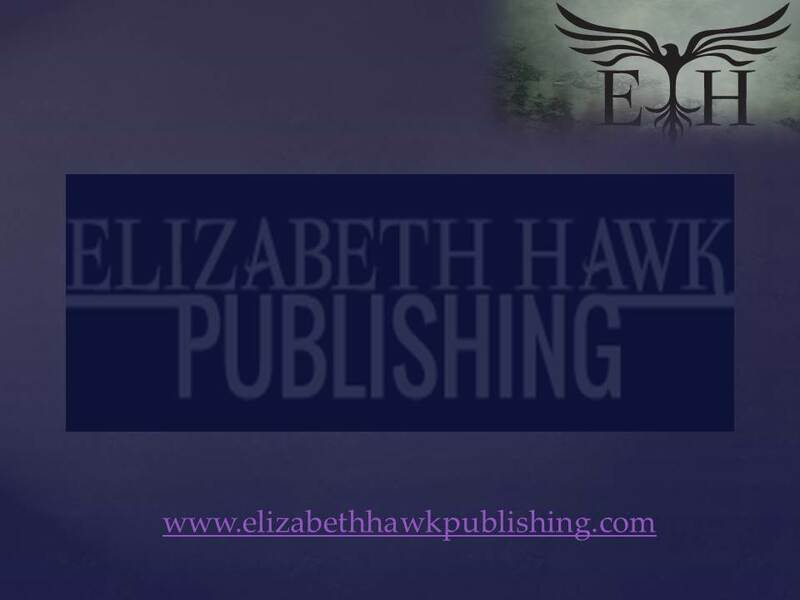 Elizabeth Hawk Publishing was created to provide a sense of community for fiction authors. We also want readers to know our work is professional and credible. Our group shares resources, advice, and ideas. We provide mutual help with beta reading, editing, formatting, cover art, and marketing so our readers get the best final product possible. So, if you’re a fiction author (or have a story to write) that is struggling through this intimidating world of agents, publishers, and misinformation, check us out! We’ll help you self-publish with the use of our imprint. This will allow you to keep all of your book sale profits to yourself. Now, you may be wondering what is an imprint and why is it important to an indie author? An imprint lends a polished and professional look to your book. An imprint lets readers know your work is credible. An imprint is a brand. People will grow to recognize it when they see it. We have great books and authors, readers see our brand positively. If you are part of a group that all uses the same imprint (as opposed to being the sole user of a name or using your own name), readers will feel more confident in spending their hard earned money. You will receive access to our private blog. On this blog, we share information, resources, and advice. Need a list of editors? Check out the list. See what people have to say about who they’ve used in the past. Cover designer? It’s there too. If you need a beta reader, just list it. Have a question? Ask it. We have been through this process and can help answer questions you may have. You will also have access to EHP’s graphics for use on your website, books, etc. You will appear on our website and facebook page. We encourage all of our authors to promote you on their pages as well. You’ll have a fantastic final product. Most importantly, you’ll get to brand your book with our name. Your paperback will have our logo on it’s spine. When people look up your ebook on Amazon, they will see Elizabeth Hawk Publishing as the publisher. That’s huge! EHP charges a reasonable set-up fee for your first title. There is a small charge for each additional title that you would like to use Elizabeth Hawk Publishing’s name on. That’s it. You proceed like a self-published author, but with our help along the way. You keep all the cash from your book sells for yourself! Our service is an investment that will benefit you and your books. We want you to succeed and can offer you the power of an imprint and the support of a community.